Inti 4 - Energy Light was designed in 2017 for Moon Moon Inc. This is an updated version of the original Inti released a few years earlier. 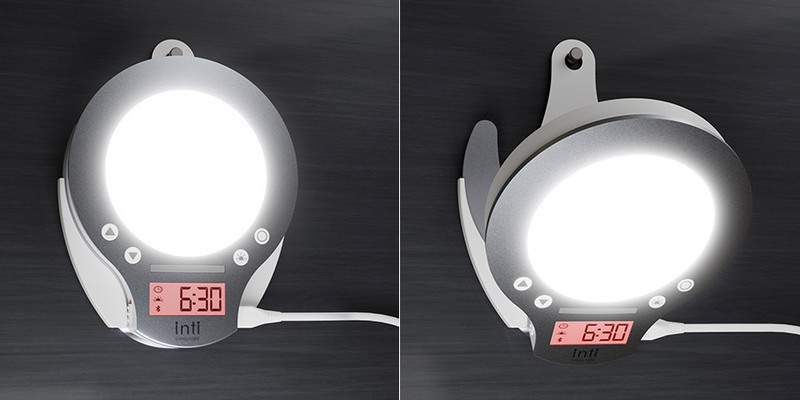 Energy Light Inti 4 is an alarm clock that helps you wake up naturally in the morning using light. This product helps people start their day in a better way. Inti's angle can be adjusted easily. A standard USB cable can be used for power. Inti can be mounted on a wall using a wall adapter.